Banglarbhumi khatian & plot information check at banglarbhumi.gov.in. How to check your Khatian No and plot no. check your Banglarbhumi Mouza map by name or plot number..
Wb Banglarbhumi khatian number and plot number, Want to know about it? read the article Completely Banglarbhumi Online web portal of the Land and Land Reforms and Refugee Relief and Rehabilitation Department launched by the West Bengal Government http://banglarbhumi.gov.in:8080/LRWEB/ (old version). Wb Banglarbhumi can use to retrieve information about know your property such as owner, khatian number, plot number, land, property value, and current owner. khatian & plot information detail shows the importance of a typical buyer or owner of the land . The land and reform department of West Bengal is very easy to find online documents on their territory online, using this portal http://banglarbhumi.gov.in/. Before the purchase, the west bengal banglarbhumi website made it easier for people to check the value of different terrain in different places. It displays various kinds of information regarding mutation, Land Reforms, plot information, and many. banglarbhumi.gov.in website got well-familiar with the people in West Bengal because of its features of checking and finding the information online about Land and Land Reforms. Banglarbhumi portal has recorded more than 15 lakh Bargadars or Share croppers information and over 30 crores Khatians and 42,042 Mouzas are stored by the department. The page will display into two options . You can search either by Khatian number or plot number according to your preference. Here, you can view the entire details of Banglarbhumi Khatian no and Plot Information. “Green” color means Centrally Co-Located live data. “Blue” color means Legacy Data. “Black” means No Data available. khatian number / Plot number is in the form as ‘99999/99’, then put ‘99999’(First portion of khatian /plot ) in the box before the slash (‘/’) and put ’99′(Second portion of khatian no./plot no.) in the box after slash(‘/’). IF khatian no / Plot no. is ‘495/1’ then put ‘495’ in the box before(‘/’) and ’01’ in the box after slash(‘/’). suppose If khatian/Plot no. is ‘49501’ i.e without any slash(‘/’), then put ‘49501’ in the box , the slash(‘/’). CC indicates Court Case against the Plot of a Khatian. note : Follow these above steps by using mobile . Banglarbhumi Mouza Map using to know your exact location of your banglarbhumi Map DEtails ( khatian & plot information map). 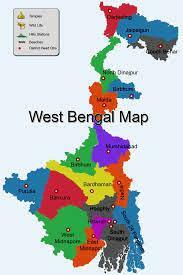 And also lets see how to check your banglarbhumi Mouza map or banglarbhumi map Online at official site. Select the menu option like banglarbhumi.gov.in citizen service. Now, the page will redirected to ‘banglarbhumi Plot Map request’. Banglarbhumi Plot information is a service that helps the user to know the information about the certain plot by requesting the status. Banglarbhumi.gov.in plot information request To Know about it, you have to follow the below steps carefully. The page will displayed with two options. Select plot information to get the details of the plot. and also Enter the plot number. And Also you can view the entire details of Banglarbhumi Plot Information. Finally If can Check banglarbhumi official Info. banglarbhumi.gov.in khatian & plot information 2018 to Check official website : http://www.banglarbhumi.gov.in/BanglarBhumi/Home.action.